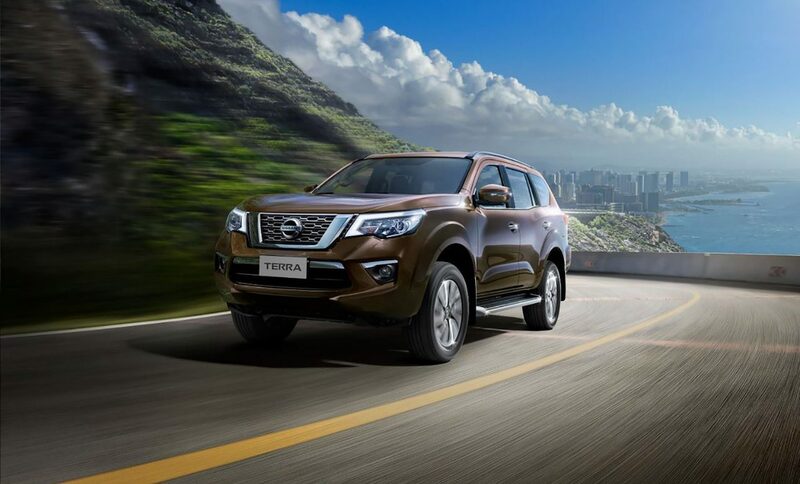 The Nissan Terra was first introduced in China, where it is locally manufactured. Last month, Nissan announced it in the Philippines and confirmed it for Thailand and other markets. Now, a report from Headlightmag says that the SUV's Thai launch will take place in August. All markets excluding China will source the Nissan Terra from Thailand. Thailand will serve as the production hub for the Nissan Terra for markets worldwide excluding China. The mid-size SUV is a PPV based on the third generation Nissan Navara pickup truck, which is also manufactured in Thailand. The Chinese-spec Nissan Terra is powered by the QR25 2.5-litre naturally aspirated petrol engine, while the Philippine-spec Nissan Terra uses the YD25 2.5-litre turbocharged diesel engine. The Thai-spec version will employ the YS23 diesel engine. This engine is made in single-turbo and twin-turbo versions for the Navara, and the latter is the one that is planned for the Terra. The twin-turbo diesel engine produces 140 kW (190 PS) and 450 Nm of torque in the Navara. Like in China and the Philippines, transmission choices in Thailand will include 6-speed manual and 7-speed automatic. Similarly, not all configurations will include a 4WD system with a locking differential. The Thai-spec version will offer seats for seven people. The Nissan Terra will come with features like LED projector headlamps with LED DRLs, 18-inch alloy wheels, LED tail lights, dual-zone automatic climate control, 7-inch touchscreen infotainment system, Around View Monitor with Moving Object Detection, Blind Spot Warning, Hill Start Assist, Hill Descent Control, Lane Departure Warning, Tyre Pressure Monitoring System and seven airbags. It will rival the likes of Toyota Fortuner, Ford Everest (Ford Endeavour), Mitsubishi Pajero Sport, Chevrolet Trailblazer and Isuzu MU-X. The Thai-spec Nissan Terra will employ the Euro 5-compliant YS23 2.3-litre twin-turbo diesel engine. 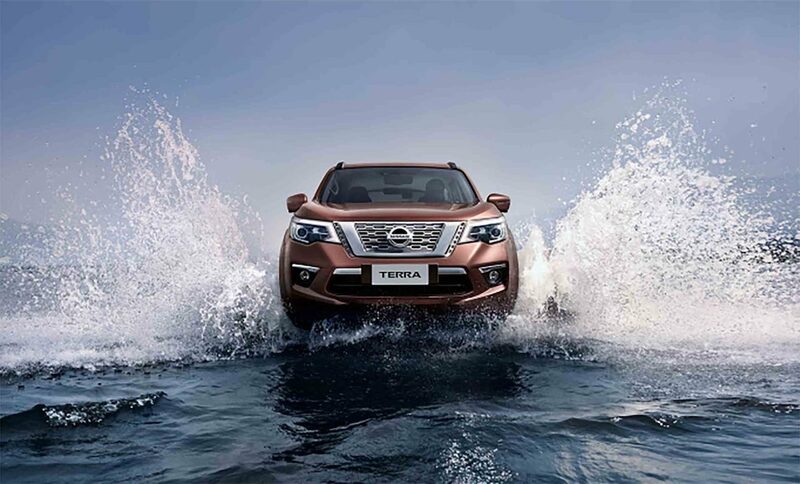 The Nissan Terra is a potential product for India, where Nissan plans to launch eight new premium models by 2021. Following the Nissan Kicks this year, the line-up here could see the addition of the Nissan Terra.